If there’s one word that can sum up the horror genre in the 2000’s, it’s “remakes.” After the 2003 and 2004 remakes of Dawn of the Dead and Texas Chainsaw Massacre were more successful than anyone expected, both financially and among the horror community, Hollywood went remake crazy, and soon nearly every popular horror property from the ’70s and ’80s was being dusted off for a new “re-imagining.” This, of course, was a perfect avenue for the Friday the 13th series to explore. 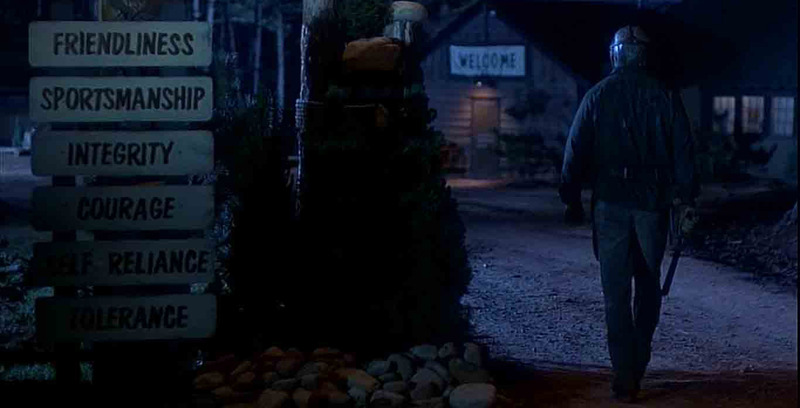 Following adventures in space and a cartoonish battle with Freddy Krueger, there were many who felt it was time for the franchise to return to its roots, and starting over from scratch seemed like a perfect way to do just that, without having to worry about any pre-existing continuity or previous interpretations of the Jason character. But did the new Friday actually do the original series justice? Read on to find out. And, as always, SPOILERS AHEAD. Here it is, folks. Inarguably the most highly anticipated slasher film of all time. The ultimate modern horror crossover that was rumored and speculated on for years, but I don’t most of us ever really expected it to happen. And yet, here it is. Of course, trying to merge two popular series in a way that satisfies fans of both is quite the challenge. Was this movie up to the task? Read on to find out. And, as always, SPOILERS AHEAD. Boldly going where…well, quite honestly, where a few other horror series had already gone, Jason X nonetheless sent our masked killer in a surprising new direction. One that I doubt many fans expected to see, to say the least. 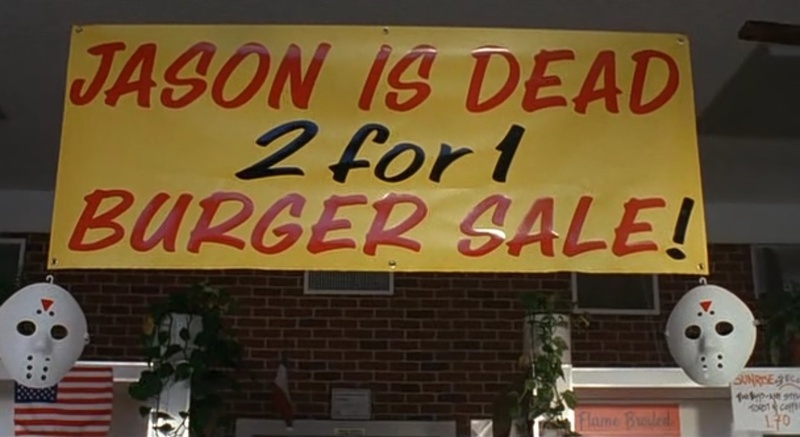 To this day, it remains one of the most controversial entries of the entire series. Did the new setting and sci-fi setting do the franchise any favors? Read on to find out. And, as always, SPOILERS AHEAD. 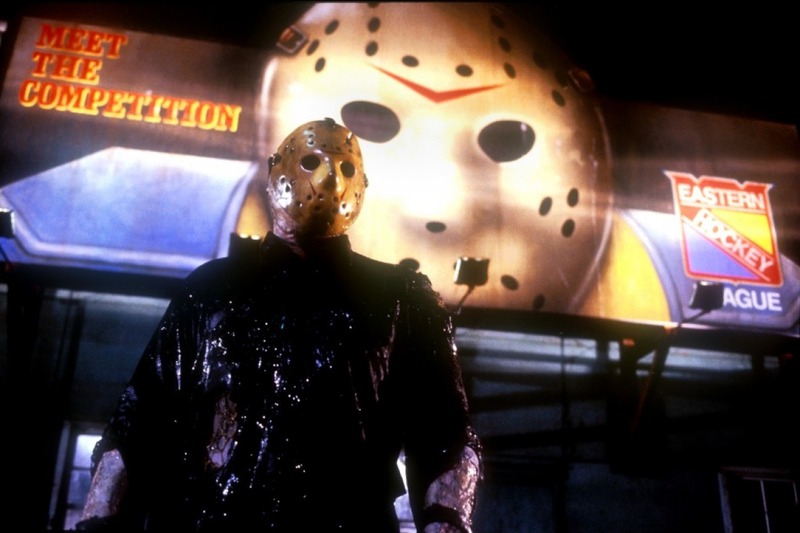 With the ninth film, the Friday the 13th series entered a new era – housed at a new studio, and back under the guidance of its original creator. But what did this mean for the series? 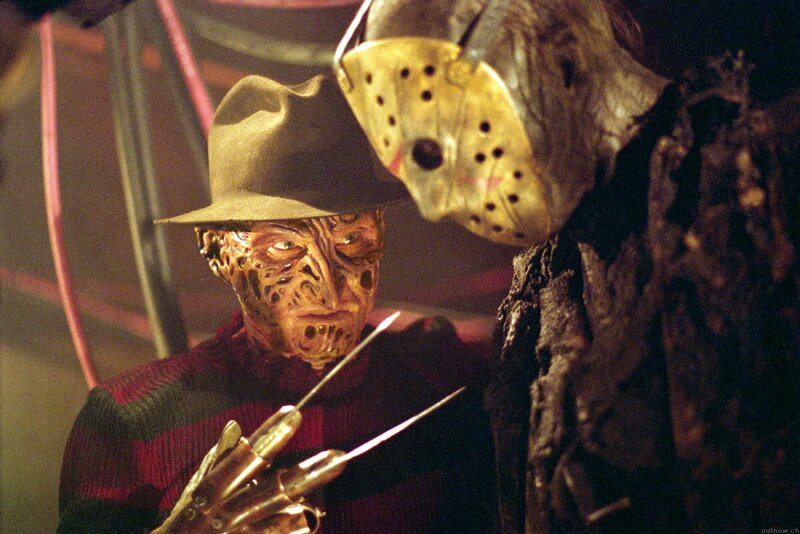 There’s no doubt New Line’s primary interest in acquiring Jason was to finally square him off against their trademark star, Freddy Krueger – but that would have to wait, and, in the mean time, New Line would make a lot of interesting decisions to keep the franchise chugging along. The New Line era, for better or worse, starts here. Read on to find out how the series tried to re-invent itself, and whether or not it pulled it off. And, as always, SPOILERS AHEAD. Hey, even Jason needs a vacation once and awhile, right? You can only kill so many kids in the same lakeside summer camp before you just got to get out and see the sights a little. With that in mind, the makers of the eighth entry of the Friday the 13th series decided to try something a little different. But is Jason still Jason when not terrorizing Crystal Lake? Read on to find out. And, remember, SPOILERS AHEAD. 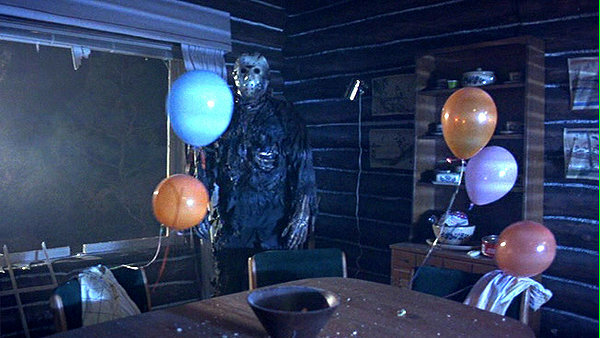 With Jason Lives, the Friday the 13th series opened up its doors to all sorts of new, more fantastical story directions. It didn’t take them very long to capitalize on this, as today’s movie attempted to give Jason a brand new nemesis with a supernatural bent of her own. Did it work out? Read on to find out. And, as always, SPOILERS AHEAD. Don’t worry – there will be no killer paramedics here. 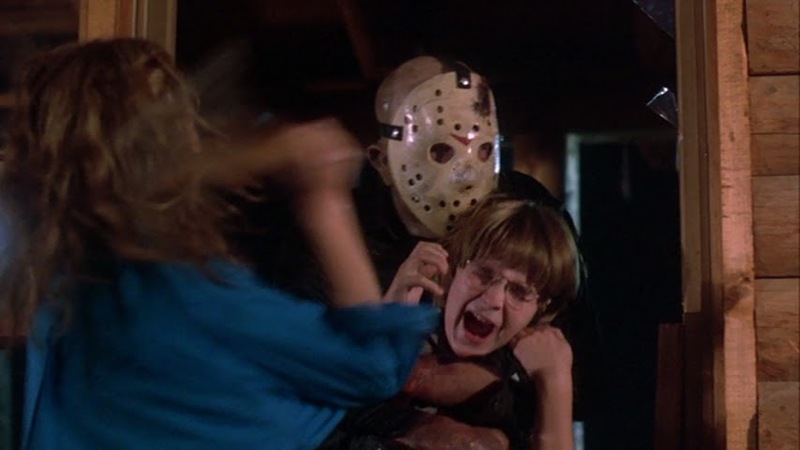 In the aftermath of the disappointing reaction to Part V: A New Beginning, series producers were faced with finding a way to bring back the fan’s favorite masked killer, Jason, for real. The only problem? He had been quite emphatically killed back in Part IV: The Final Chapter. Their solution would not only give us a very different kind of Friday film, it would also drastically change the direction of the original series, for good. How so? Read on to find out. And, as always, SPOILERS AHEAD. 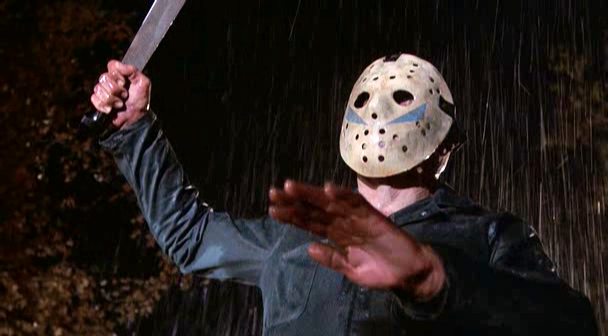 It took the producers of the Friday the 13th series only one year to renege on the promised finality of The Final Chapter, which at the time might have seemed even more crass than it does nowadays, seeing as how we all now know never to believe that sort of claim with a horror series, anyway. But, no matter, the fact is another Friday film DID happen. Thankfully, even though they might have really considered calling it quits with the last one, they had still ended that movie with an intriguing hint of possible things to come, thus giving this new entry an excellent opportunity to pick up on that plot thread and give fans a new villain they were already familiar with, and had an actual connection to. Instead, they made THIS. Sigh. So what’s the problem here? Read on to find out. And remember, as always, SPOILERS AHEAD. Nah, I’m just screwing with you. Of course this isn’t REALLY the end…but audiences in 1984 were sure sold the idea it would be. The question is, even with the hindsight that this wasn’t really the grand finale, does the film at least still deliver on the high expectations of such a promise? Check out the review below to find out. And, as always, SPOILERS AHEAD. 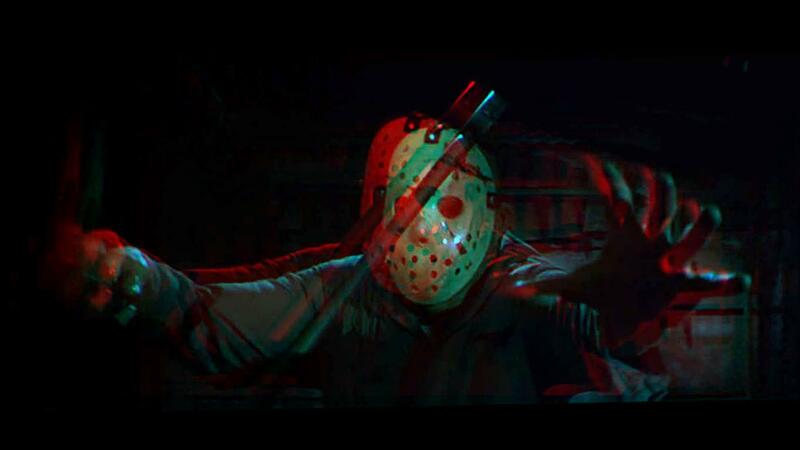 My series of Friday the 13th reviews enters a new dimension today…but is that necessarily a good thing? Put on your red/blue glasses* and read on, as we take a look at perhaps the most gimmicky Friday film of them all. Oh, and as always, these reviews contain plenty of SPOILERS, popping right out at your face like an eyeball squeezed from a human head. * wearing red/blue glasses will NOT aid in the reading of this review.